Looking for a hard working training ammunition for your 45 ACP caliber weapon, whether it’s an M1911, AR-15, Kriss Vector, or itty bitty Double Tap? This well-made and versatile round by Magtech is set up to give you just the performance your firearm deserves, whatever it might be! 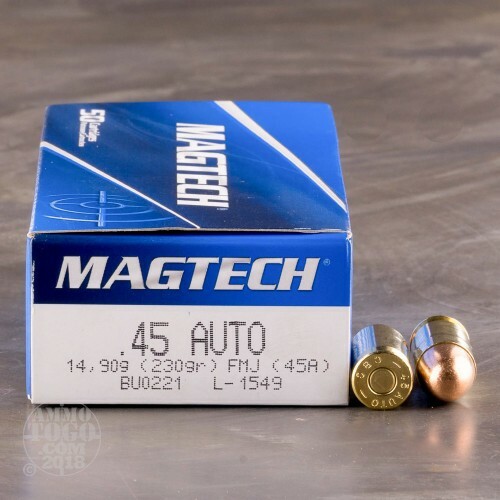 This cartridge is capped with a 230 grain projectile, the standard for its caliber, and which wears a full metal jacket to facilitate feeding in a semi-automatic weapon and prevent rapid bore fouling. The bullet’s rounded profile means it will penetrate plinking targets effectively, an ability bolstered by its jacket. 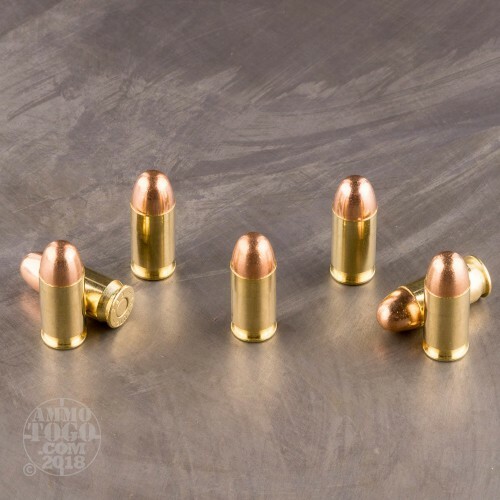 This round’s new production brass casing is precisely formed and perfect for handloading, its primer is sensitive and able to sit for ages without losing its potency, and its propellant burns consistently and cleanly. 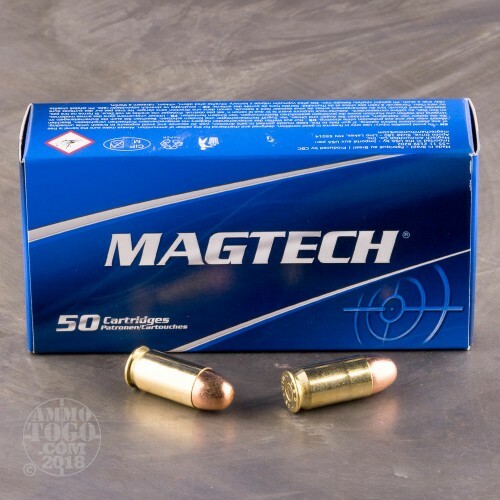 Magtech is the official label of one of the largest ammunition manufacturers on the face of the earth, and serves as proof that they didn’t get that way by crafting anything but the very best! Magtech provides reasonably priced ammo and I have never had any performance issues with it. A-T-G is my go to provider. These look good but I'll not know until I get out to the range and test them. They are for stockpiling my ammo cans. Never an issue with Ammo To Go though. 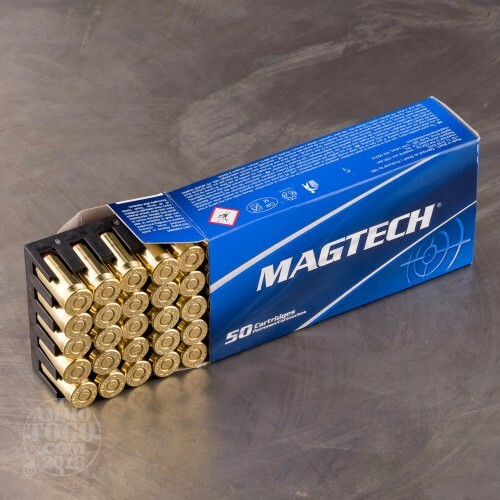 Like most Magtech this is dependable ammunition. Nice grouping, clean, reliable. I feel confident firing this through my 45 ACP, would purchase again and would recommended it. For the most part clean-burning and reliable as well as accurate. In some guns it seems to burn cleaner than others. Through my Glock 30 it's real clean. In my S&W 1911 full size it's pretty dirty. Good stuff. Bought 250 rounds and fired off 150. I had 1 failure to feed. Due to the nature of the malfunction, I am inclined to blame it on the gun and not the ammo. I shot 100 rounds of this ammo thru my PT145 Pro....had no issues whatsoever. Pretty clean for the most part. Will purchase again for sure. Good range ammo.